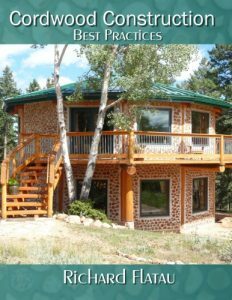 Due to the incredible interest in taking a cordwood workshop (in order to build a home, cabin or cottage) we are going to offer one more this year. 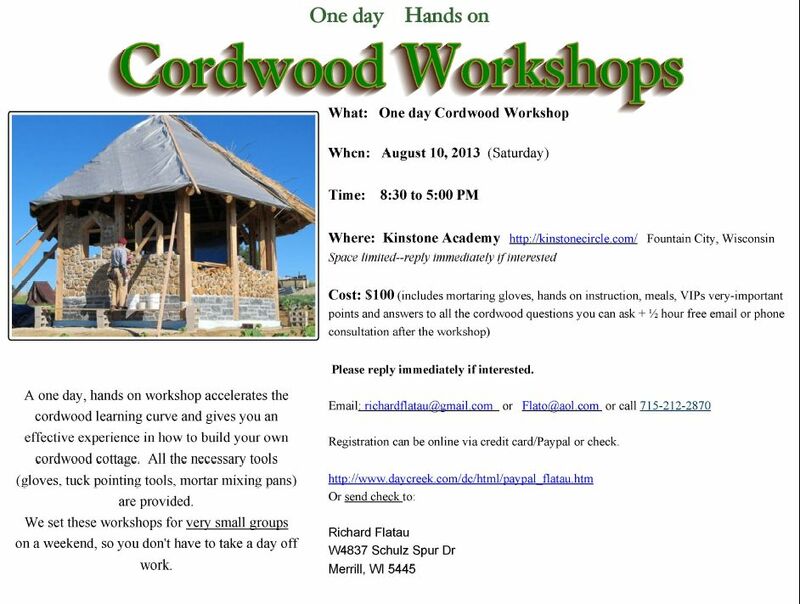 A one-day, hands-on cordwood workshop at Kinstone Academy near Fountain City, Wisconsin on August 10th. The tuition will be $100 and includes instruction, mortaring gloves, bandana dust mask, questions answered, wall building skills acquired, 1/2 hour consultation after workshop via email or phone and lunch. Kinstone is a great site with a cordwood project in progress. 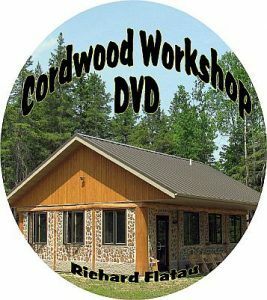 You will get to see how last years cordwood looks and experience doing some of your own. You will learn to tuck point with three different tools and learn log placement in an attractive and pleasant manner. If you have any questions please call 715-212-2870, email Flato@aol.com or go to www.daycreek.com/dc/html/paypal_flatau.htm to register.